We test not just one new Pascal Titan X, we test two! 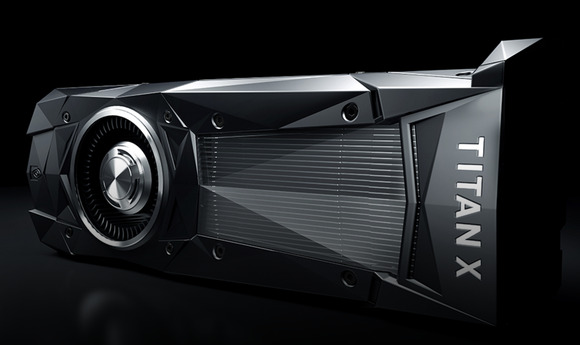 Since day one, Nvidia’s Titan-series of GPUs have never been understood by the masses. Expensive, power-hungry, and overloaded with RAM, Titans don’t make sense to us plebeians. Sure, the cards have always been pitched as GPUs that bridge gaming and professional use, but the truth is, Titans are for the class of people who get to double-park their exotic sports car in front of the restaurant while you or I self-park our Camry in the parking lot behind it. 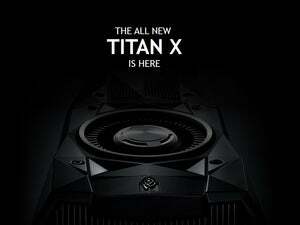 The latest Titan X changes none of that. In fact, in many ways, it seems to double-down on that class divide. But oh, the cost. The price has jumped from $1,000 for previous single-GPU Titan cards to $1,200 for this new Pascal card. In fact, this GPU is so exclusive, it also breaks with the tradition of getting seeded to the grubby press for reviews before the launch. The only way to get a card before launch, we were told, was in a pre-built machine. So what better way to accentuate just how overkill the new Titan X card is than the PC it arrived in: A custom-painted Falcon Northwest FragBox 2 with hardware that will leave your jaw on the floor. Falcon Northwest’s FragBox 2 is pure decadance with a pair of new Pascal-based Titan X GPUs, a 10-core Core i7-6950X CPU, a 512GB 950 Evo and a 4TB 850 Evo. Inside the FragBox 2, you find not just one new Titan X (because what commoner would only have one, right? ), but two in SLI. The Titan Xs are in good company, too, as Falcon paired the $2,400 in video cards with Intel’s new $1,500 10-core Core i7-6950X. In the “why the hell not?” column, Falcon loads up the FragBox 2 with the wickedly-fast 512GB Samsung 950 Pro m.2 NVME drive for the OS and—wait for it—a $1,500 4TB Samsung 850 EVO too. Yes, not only is the Falcon loaded with two new Titan X cards and a 10-core Intel CPU few people can justify, but also the world’s largest SSD. Dayum. The new Titan X cards in our FragBox 2 run at bone stock clock speeds. Falcon Northwest officials said this was done because, well, they had no choice. At the time the machine was built, none of the overclocking utilities even worked with the new Titan X cards. The Falcon Northwest FragBox 2 packs not one new Titan X, but two in SLI along with a 10-core Core i7 and 4TB SSD. Mind you, this is all in a PC smaller than a toaster oven. A full review of this decadent machine will be forthcoming. 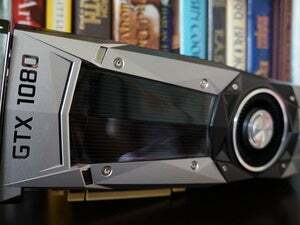 Today, given our short few hours with the FragBox 2 and its pair of Titan X cards, we wanted to dig into just what more than 7,000 CUDA cores can to in the arena that matters to most of us: PC gaming. 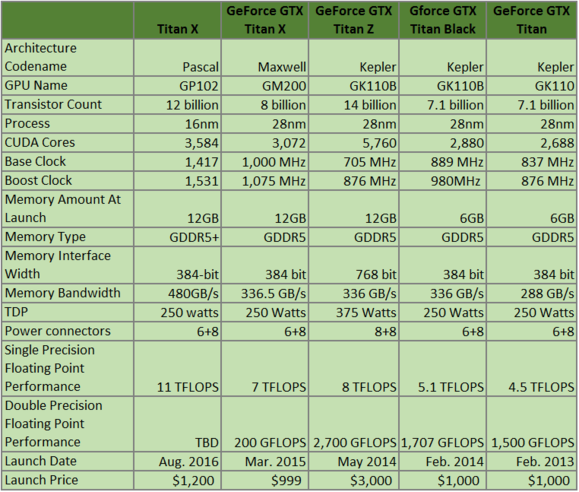 Remember the Titans: Nvidia’s Titan-series of cards have always been over the top exercises in excess. This one’s no different. We tested the Titan X the only way we could: Inside of the FragBox 2 as they were provided. But you don’t put a Honda Accord on the drag strip with a Lamborghini. Instead, we reached back to our review of the Digital Storm Aventum 3 for a proper competitor to the FragBox 2 and its Titan X cards. 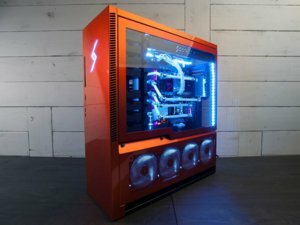 The giant Aventum 3 is itself an exotic PC with its full liquid-cooled system, packing a pair of overclocked GeForce GTX 1080 cards. This won’t be easy for the FragBox 2. Pure decadence: Here’s what happens when you put almost $50,000 in PCs up against each other. We’ll start with Futuremark’s 3DMark Fire Strike Ultra run at 4K resolution. It’s a synthetic test, but fairly well respected and it generally scales well with multi-GPU builds. For additional comparison in this test, I reached back into our library of scores from other over-the-top machines, including a Falcon Northwest Mach V tower with three original Titan X cards and a Maingear Epic Force X99 rig with four older Titan X cards. I also threw in the score from an Origin PC Chronos micro-tower machine with a single older overclocked Titan X for context. First, let’s acknowledge that’s just under $50,000 in computers you’re seeing bumping heads. Got you’re head wrapped around that? Okay. 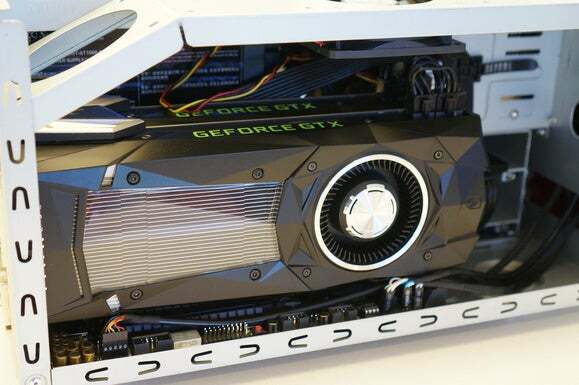 The new Titan X cards show their power in this test. They motor by the pair of overclocked, liquid-cooled GTX 1080 cards, and more impressively, they also shoot ahead of the three older Titan X cards in the Mach V system. Only the Epic Force X99 with its four liquid-cooled older Titan X cards manages to outpunch the FragBox 2. 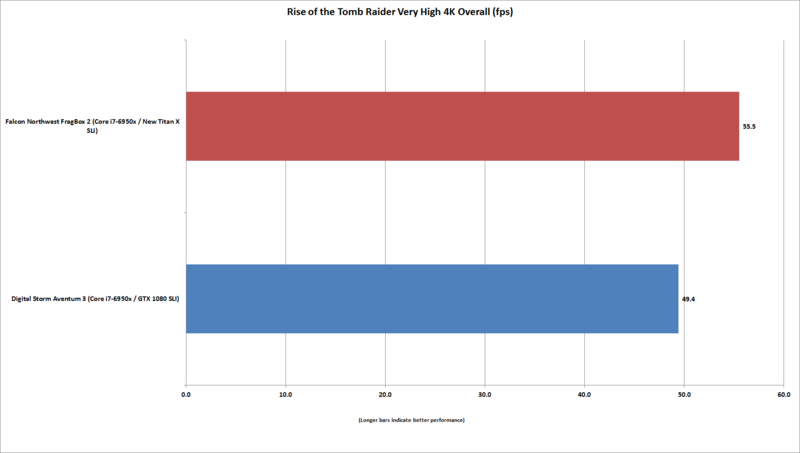 It was pretty much a draw between the liquid-cooled GeForce GTX 1080 cards in SLI and the new Titan X cards in Rise of the Tomb Raider at 4K resolution. 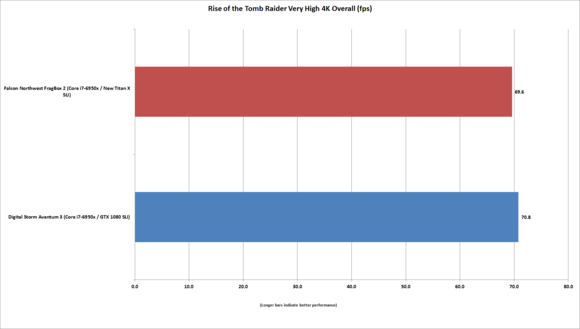 Our next test is Rise of the Tomb Raider, ran at 3840x2160 (a.k.a. 4K) resolution. The dual GTX 1080s in the Aventum 3 and the dual Titan Xs in the FragBox 2 delivered largely identical performance results. That didn’t just happen in Rise of the Tomb Raider either. Most of the games I tried at 4K resolution showed little performance difference between the two systems. In a couple of games the new Titan X had an advantage, but certainly nothing to justify costing more than twice as much as a GeForce GTX 1080. Perhaps the ho-hum (ha!) 4K resolutions isn’t enough to truly test these world-class graphics champions? I reached for the only monitor that was equally decadent: Dell’s 2715K. It’s the world’s first 5K monitor, with a resolution of 5120x2880. In pixel math, that’s about 14.7 million pixels. Compare that to an Ultra HD 4K monitor, which rocks 8.3 million pixels, or a standard 1080p monitor’s 2 million pixels. Once I cranked up the resolution the performance of that new Titan X SLI setup started to show its true colors against the GTX 1080 pair. 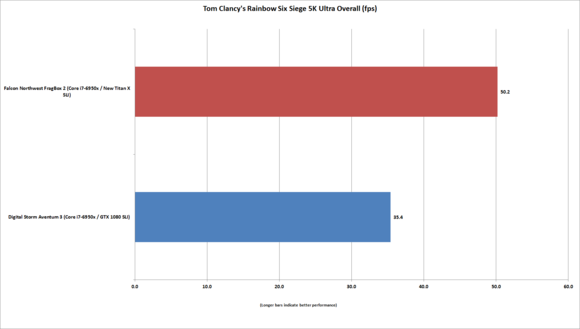 Tom Clancy’s The Division gives up a decent amount of performance running at 5K resolution. 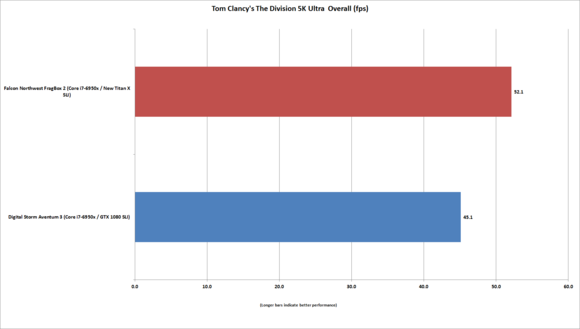 Moving on to Tom Clancy’s The Division in 5K, we again see a pretty sizable performance bump from the two new Titan X cards in the FragBox 2 over the liquid-cooled GTX 1080 cards in the Aventum 3. Far Cry Primal run at 5K resolution shows a decent gaming performance for the new Titan X even over liquid-cooled GTX 1080 cards. 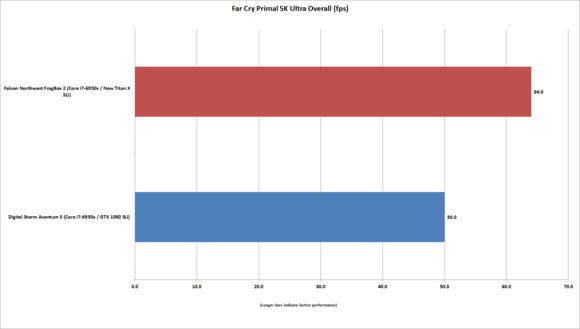 Far Cry Primal reveals an even larger performance difference between the two pairs of cards. You could argue that the pair of new Titan X cards give you true playable frame rates at 5K resolution when you consider these numbers. Tom Clancy’s Rainbow Siege definitely puts the new Titan X cards in front by a country mile. Tom Clancy’s Rainbow Six Siege also backs up the Far Cry Primal results. While the pair of GeForce GTX 1080 cards were running out of air at 35.4fps, the pair of new Titan X cards buzzed along at 50fps. I’d argue 50fps is pretty playable for most people, while 35.4fps isn’t going to hack it—especially in a shooter. 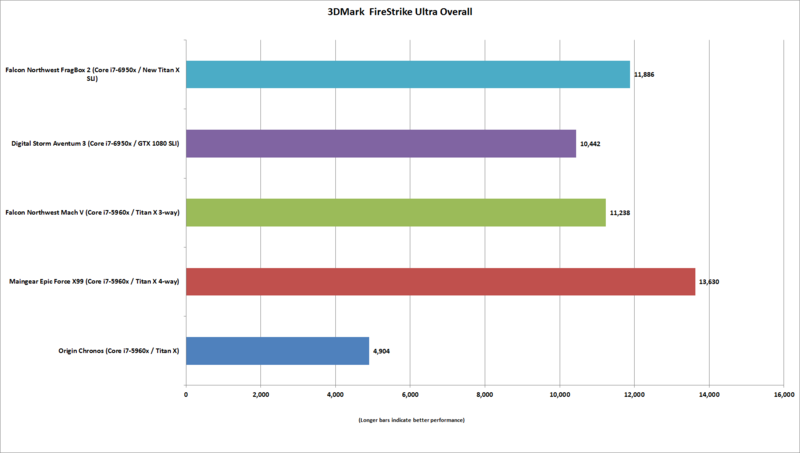 We return to the $50,000 field of rivals for our final test of the day, 3DMark Fire Strike Extreme Graphics performance. Ideally, you compare graphics cards by testing them in the same system. That’s just not something we can do today. 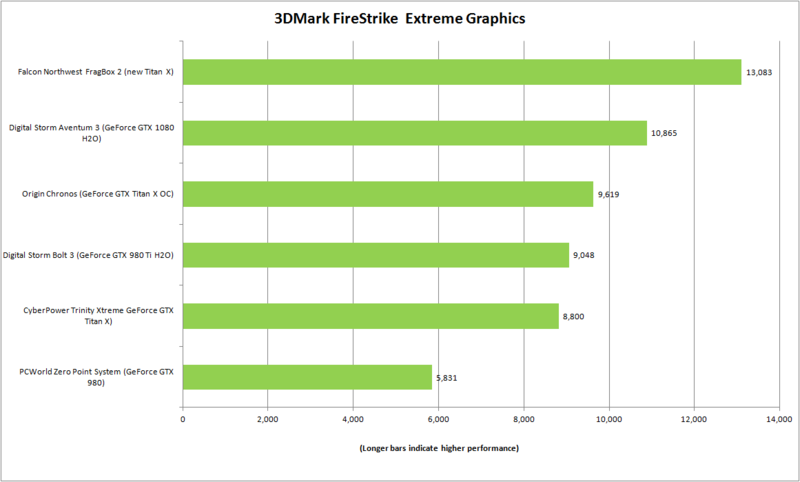 Instead, I reached into our library of data to dig up 3DMark Fire Strike Extreme Graphics scores to give us the next best thing. 3DMark’s overall score leans heavily towards the GPU, but the CPU is still factored into it. The specific graphics sub-score, on the other hand, tries its best to isolate just the GPU performance. This makes comparing across different PC builds far more valid as the different CPUs aren’t obscuring the results. Since I don’t have SLI scores for all of the systems tested, I decided to disable SLI on the FragBox 2 (which I had also done on the Aventum 3 part of my SLI Bridge testing.) So what you’re seeing is the single-card performance of the various GPU being represented. Viewed in this light, the new Titan X is looking pretty good from pure performance perspective. In performance per buck? Nope. We won’t make any final judgments on the new Titan X until we’ve successfully ripped one from the guts of a machine for further testing, but I think we can reach a few conclusions from these tests. No surprise: A dual Titan X setup isn’t worth it for the majority of people who plan to use it for gaming alone. The power of dual Titan X’s may prove more worthy for someone who uses it for compute tasks as well as gaming, but that’s beyond the scope of today’s test. Still, it’s clear that for the average Joe or Jane who doesn’t game on a $2,000 5K monitor, a setup like this is hard to justify. But again, that’s probably missing the point of it all. Most people don’t “get” the point of a $189,000 car or a tin of caviar that costs more than a dinner for four, and well, most people probably won’t “get” the point of a pair of powerful new Titan X cards either—unless they’re data scientists. When it comes to gaming, a glorious pair of SLI’d new-look Titan X cards are made for high rollers with bleeding-edge displays alone.